Point2 Homes gives you far more than a simple list of houses for sale. Get instant access to a lot of relevant information about Burlington, ON real estate, including property descriptions, virtual tours, maps and photos. The search results pages also have a wealth of information on Burlington, ON, if you scroll all the way down. There are 559 houses for sale in Burlington, ON. 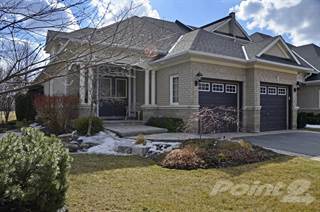 Searching homes for sale in Burlington, ON has never been more convenient. With Point2 Homes, you can easily browse through Burlington, ON single family homes for sale, townhomes, condos and commercial properties, and quickly get a general perspective of the real estate prices. Also, you’ll never miss a bargain if you filter listings based on house price drops in the past six months. Use the map view to find Burlington, ON homes and apartments for sale, based on amenities or city features that you may want close by. You can close in on a specific neighbourhood or area by simply drawing around them with the polygon or radius tools. Stay informed about the latest entries on the real estate market by saving your searches. This way, you get new listings in your inbox, daily or every week, based on your preferences. If you’d like to get in touch with a professional, agents are displayed next to their listings, and they’re easy to contact through the online forms. 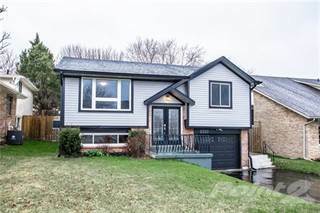 If you want more options, you can click the Tools tab and Find an Agent, and you’ll get a list of helpful and knowledgeable real estate agents in Burlington, ON. Visit the Point2 Homes blog and you can find up to date expert advice on many markets throughout Canada, regular market reports, neighbourhood scoops in cities throughout the provinces, real estate deals and useful recommendations. Burlington is a city in Ontario within the Greater Toronto Area and located on the west side of Lake Ontario. It has a population of roughly 175,000 inhabitants and covers around 186 square kilometers of land. With percentage population growth rates that are nearing double digits, Burlington shows promise as one of the smaller cities to be located within the Golden Horseshoe. With over 110 parks in the city, it is an extremely attractive city for outdoor enthusiasts and fans of scenic natural beauty. One of the major features of Burlington, and a major contributor to its strong economy, is that it is not reliant upon a single industry to drive the majority of its growth. In fact, Burlington draws from various sectors that include transportation, business, electronics, environmental, and chemical. Its close proximity to the Greater Toronto Area is another factor as it allows for the rapid development and shipping of goods to a large and nearby customer market. Burlington has also had the convenience of being rated by several magazines and organizations in the top 10 Canadian cities when it comes to safety, job opportunities, and overall quality of life. This makes it an incredibly well-rounded city that continues to attract people of all backgrounds and perpetuates the explosive population growth previously mentioned. The official website for the city is extremely comprehensive in its coverage of each and every aspect, providing a comprehensive information hub for current residents and prospective homebuyers. Burlington has a lot to offer in spite of its seemingly small size. There are several parks that occupy several hundred hectares of land. Some outdoor enthusiasts might put the parks in their ‘bucket list’, vowing to fully explore each and every one of them before their life is over! Each park provides a unique feature that can be something as simple as a hiking trail to an artifact that represents a milestone in the city’s history. There are also many annual festivals that attract people from all over the province and sometimes the country. A notable festival is Canada’s Largest Ribfest, where people will spend several days sampling ribs from the best of the best in North America while enjoying great music and participating in fun community activities. If you don’t like ribs, you can also choose from the 200+ restaurants that are available. You can choose to go for an exquisite dinner, or simply get a quick bite to eat. In total, there are 19 neighbourhoods that exist within the city of Burlington. They can be roughly grouped as the northern, central, and southern parts of Burlington due to their close proximity and the similarities they share in terms of the real estate market and the amenities that are made available to residents. Central Burlington consists of the following 11 neighbourhoods: Alton Village, The Orchard, Corporate, Tansley, Millcroft, Headon Forest, Palmer, Moutainside, Brant Hills, and Tyandaga. The neighbourhoods here are undergoing continuous development, with many new properties going up for sale on a frequent basis. Many amenities such as grocery stores and hospitals are within walking distance for its residents. The northern part of Burlington is considered as one giant rural area without any further subdivisions into smaller neighbourhoods. Because of the lack of suburban development that exists within this area, this provides for those who are into outdoor activities including golfing, cycling, hiking, and even rock climbing for those who dare. Although this neighbourhood tends to be the quietest one in Burlington, it is not too far removed from society due to Highway 407 being nearby. The southern district of Burlington is made up of Aldershot, Downtown, Roseland, Dynes, Shoreacres, Longmoor, Pinedale, and Elizabeth Gardens. Common amenities include the famous Royal Botanical Gardens, nearby daycare centers for busy parents, and a farmer’s market that sells local produce at prices that will suit any family’s budget. One surprising feature noted by its inhabitants is that the traffic in the downtown area is manageable and not too intrusive, even during peak rush hours! As you can imagine from the description of northern Burlington, you can expect to see several fully detached properties which are extremely large in size and extravagant in design. You can expect multiple bedrooms and bathrooms alongside pools and designated recreational rooms. With rare exceptions, the homes in this area have prices in the 7-figure range. All of the golfing clubs seem to be aggregated around here. The only downside is that there are no major retailers around, necessitating a drive into the more urban areas of Burlington in order to access them. Central Burlington is attractive in that it contains the largest diversity in terms of home prices. 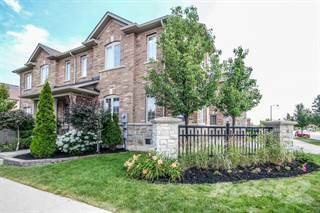 There is something for everyone here, whether you are looking for a low rise condominium complex, a semi-attached townhome, or a fully detached property. Many properties include ample vegetation that adds a distinct look to each home, and the community tends to take immense pride in their properties. Expect to see homes with lawns and trees that well taken care of. The southern district of Burlington is home to the downtown area of Burlington. Thus, the majority of high-end condos and affordable rentals exist within this area. For those who prefer to live near downtown but not too close to it, nearby neighbourhoods such as Dynes and Aldershot are home to many detached houses and semi-attached homes. Burlington’s only major post-secondary institution is the DeGroote School of Business, which is associated with McMaster University. This school is well known for offering a stellar MBA program and an undergraduate education in various business disciplines such as Executive Management. With 29 public elementary schools and 13 private elementary schools to choose from, parents have many choices as to where they would like to send their kids. The elementary schools Canadian Martyrs and Maple Grove have stood out in past years due to their exceptional performance on standardized testing for reading, writing, and mathematics that has far exceeded the provincial average.